Sony has made Android 8.0 Oreo available for the various Xperia devices. Google released Android 8.0 back in August 2017, and 8.1 in December. Many phones are already getting the Oreo update, and Sony is one of them at the top. Moreover, Sony is the first OEM to release Android 8.0 Oreo other than Google starting with Xperia ZX Premium. Sony holds the good record for caring their old devices with the latest firmware updates. Here we have the list of all devices that Sony made Android 8.0 Oreo available with download links and tutorial. With this Sony Android 8.0 Update, they bring much more improvement in performance reliability, stability, bug fixes, and new Oreo-based features. Android 8.0 Oreo comes with tons of new features which increase performance reliability and security. Some of the main Oreo features are listed below! We hope you would love it using on your Sony Xperia Devices. 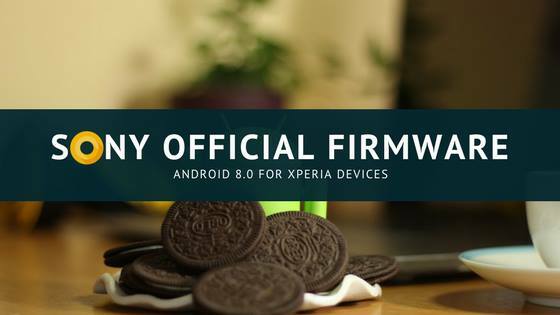 We hope you love Android 8.0 Oreo Official Firmware for Sony. Certainly, we love it too, but before you look forward to installing it on your phone, kindly go through the important information mentioned below before jumping on to start the tutorial. Xperia X, Xperia X Performance, Xperia XZ, Xperia X Compact, Xperia XZ Premium, Xperia XZs, Xperia XA1, Xperia XA1 Ultra, Xperia Touch and Xperia XA1 Plus** (Xperia XZ1 & Xperia XZ1 Compact launched on Android Oreo). They have been working hard to bring the major system update for many of their devices, so stay tuned with this page. We will update this page once the OEM rolls a newer firmware. These are the Official (Stock) Firmware by Sony based on Android 8.0 Oreo. Find your firmware from the table below! Use Ctrl + F key to search your device name. Sony Xperia X Compact (F5321) 34.4.A.2.50_R1E Switzerland (Generic) [1305-0029] Download! Sony Xperia X Dual (F5122) 34.4.A.2.50_R1E India (Generic) [1302-4789] Download! Sony Xperia X (F5121) 34.4.A.2.50_R2E Russia (Generic) [1302-1911] Download! Sony Xperia XZ Dual (F8332) 41.3.A.2.107_R1E Middle East and Africa (Generic) [1305-0127] Download! Sony Xperia XZ (F8331) 41.3.A.2.107_R1E Australia (Generic) [1305-1859] Download! Sony Xperia X Performance Dual (F8132) 41.3.A.2.107_R2E France (Generic) [1302-9341] Download! Sony Xperia X Performance (F8131) 41.3.A.2.107_R1E Latin America (Generic) [1302-6536] Download! Sony Xperia XZ Dual (F8332) 41.3.A.2.99_R1E Middle East and Africa (Generic) [1305-0127] Download! Sony Xperia XZ (F8331) 41.3.A.2.99_R1E Latin America (Generic) [1305-5171] Download! Sony Xperia X Performance Dual (F8132) 41.3.A.2.99_R1E Russia (Generic) [1302-8276] Download! Sony Xperia X Performance (F8131) 41.3.A.2.99_R1E Russia (Generic) [1302-6562] Download! Sony Xperia X Compact (F5321) 34.4.A.2.32_R1E Germany (Generic) [1305-6830] Download! Sony Xperia X Dual (F5122) 34.4.A.2.32_R1E India (Generic) [1302-4789] Download! Sony Xperia X (F5121) 34.4.A.2.32_R1E Latin America (Generic) [1302-6571] Download! Sony Xperia X Compact (F5321) 34.4.A.0.364_R2E Russia (Generic) [1304-9009] Download! Sony Xperia X Dual (F5122) 34.4.A.0.364_R1E India (Generic) [1302-4789] Download! Sony Xperia X (F5121) 34.4.A.0.364_R1E Latin America (Generic) [1302-6571] Download! Sony Xperia XZ Dual (F8332) 41.3.A.2.58_R3E India (Generic) [1305-0131] Download! Sony Xperia XZ (F8331) 41.3.A.2.58_R3E Benelux (Generic) [1305-7680] Download! Sony Xperia X Performance Dual (F8132) 41.3.A.2.58_R1E Thailand (Generic) [1304-6595] Download! Sony Xperia X Performance (F8131) 41.3.A.2.58_R1E Russia (Generic) [1302-6562] Download! Sony Xperia XZ Dual (F8332) 41.3.A.2.24_R3E Vietnam (Generic) [1305-5173] Download! Sony Xperia XZ (F8331) 41.3.A.2.24_R1E Central Europe 1 (Generic) [1304-9023] Download! Sony Xperia X Performance Dual (F8132) 41.3.A.2.24_R1E Thailand (Generic) [1304-6595] Download! Sony Xperia X Performance (F8131) 41.3.A.2.24_R2E UK (Generic) [1304-8417] Download! Sony Xperia XZ Dual (F8332) 41.3.A.0.401_R1E Middle East and Africa (Generic) [1305-0127] Download! Sony Xperia XZ (F8331) 41.3.A.0.401_R1E Latin America (Generic) [1305-5171] Download! Sony Xperia X Performance Dual (F8132) 41.3.A.0.401_R1E Russia (Generic) [1302-8276] Download! Sony Xperia X Performance (F8131) 41.3.A.0.401_R1E Australia (Generic) [1305-2784] Download! 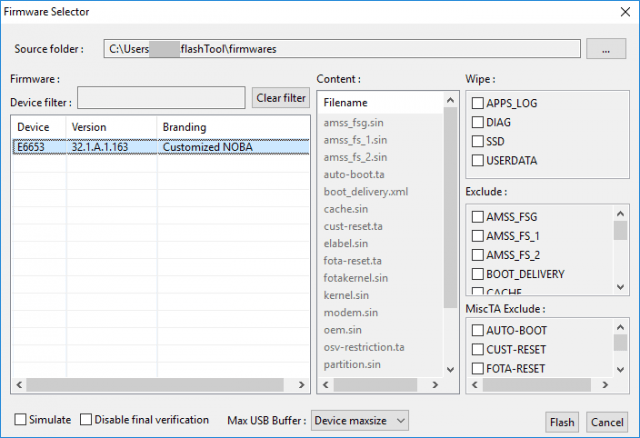 One main reason, people, encounter problems while flashing firmware on their device is due to not installing correct USB drivers on their PC. Make sure you have correctly installed Sony PC Companion tool on your computer. If not, please download it from our USB Driver Section below and install it correctly. Otherwise, your computer will not be able to detect your device. We don’t want you to lose any data, or anything could go wrong unexpectedly. Before starting the tutorial, we strongly recommend you to make a full backup of your existing regional/carrier firmware. If possible, take a Backup via Sony Xperia Companion on your computer, or you can try out some of the hand-picked Android Backup Apps to secure your data quickly. 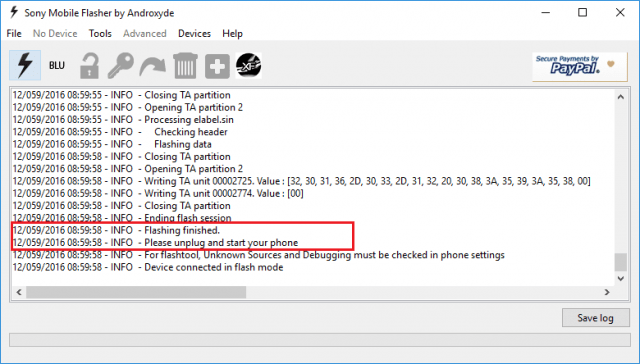 This guide is based on the Flashtool to install Android 8.0 Oreo on Xperia. So, before attempting the tutorial, make sure you have downloaded and installed the latest Flashtool [version 0.9.22.3 or above] software on your computer. We have mentioned full step-by-step instructions on How to Install Android 8.0 Oreo Official Firmware on Xperia. 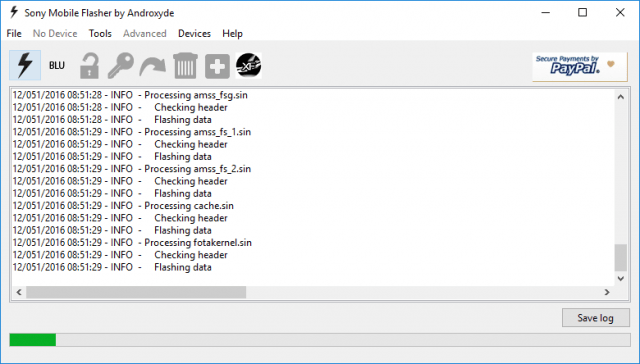 If you are entirely new to rooting, flashing a Custom ROM or an Official Firmware, please read the entire tutorial once before actually performing it on your device. Step 1: You need to ensure that you have correctly installed all the driver on your computer for your Xperia. Make sure to download Sony PC Companion from the above-given link. 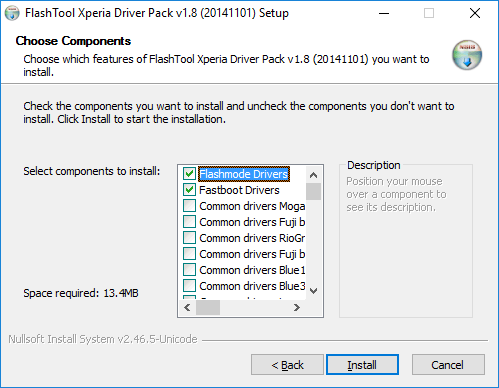 Check the “Flashmode Drivers” and “Fastboot Drivers” to install. Press Windows key + R together and in the “Run” box, type “shutdown.exe /r /o /f /t 00“. Now, make the following selection to boot into Startup setting screen: Troubleshoot > Advanced options > Start Up Settings > Restart. After that, when the computer reboots, choose number 7 (i.e. “Disable driver signature enforcement”). Your computer will start with Driver signing enforcement disabled until the next restart. 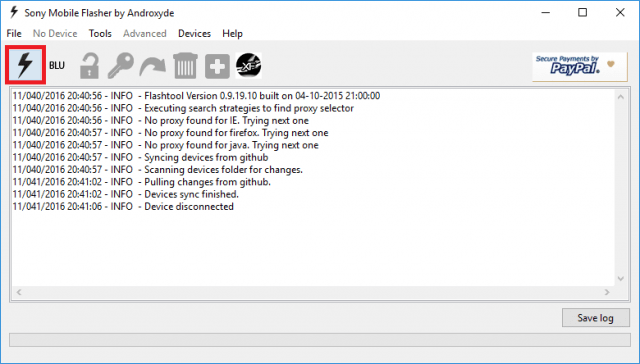 Now, you can install the Flashtool drivers on your computer. Windows may show a warning message that “Driver is not signed”. Ignore that message and confirm the installation. Once the installation is complete, reboot your PC. Step 3: On your phone, enable “Unknown Source” in the setting. Step 6: From the firmware panel, select the firmware build version that you want to flash on your Xperia. Make sure Device variant is same as the model number of your phone. Step 7: Click on “Flash” button. 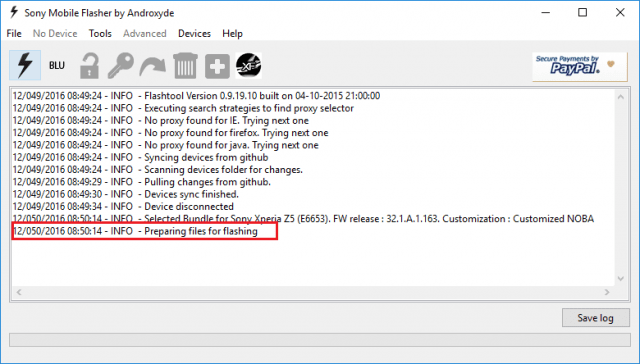 Flashtool will show an INFO: “preparing files for flashing,” on the log panel. You need to wait for 60 seconds for the “Wait for Flashmode” pop-up to appear. Once it does, connect your Xperia device to the computer via USB cable. 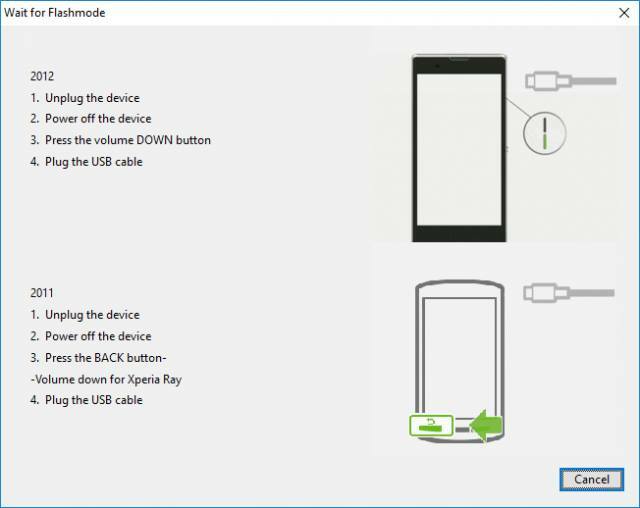 Press and hold “Volume down” button while connecting the USB cable. The pop-up will get disappeared, flashtool will then start installing Android 8.0 Oreo on your device. You can let go of the ‘volume down’ button. Once you see “flashing finished” in the INFO message as shown in the image below, your Sony Xperia device has been successfully updated to the latest Android 8.0 Oreo Official Firmware. Step 8: Now, unplug your device and reboot. Hurray! Your Sony Xperia device should have got Official Android 8.0 Oreo installed by now. Go to Settings > About phone to verify.